In England there was the time when Michael Thomas made sure ‘it was for grabs’ as Arsenal snaffled the title away from Liverpool with a late smash and grab raid at Anfield. Then, back in 2012, we had Martin Tyler’s famous ‘Agueroooooo’ moment. Needing a victory to secure their first league title in over forty years, Manchester City entered injury time trailing 2-1 at home to QPR. For the first, and so far only, time in Premier League history however, a team performed the oracle of turning a deficit into victory during the brief time added on by the referee, and City lifted the trophy. For the sky blue-decked City fans, the word ‘tense’ didn’t even come close, but at least they had that glorious release of victory at the final denouement. In the Estadio Riazor in 1994, fans of Galician club Deportivo de La Coruña had waited much longer and were not so fortunate. Had a key man played his part in the outcome of the game a week or so before though? If City’s wait of knocking on for half a century had seemed long, for Depor the wait had been eternal. Since the formation of the club, just after the turn of the century, being crowned as champions of Spain had seemed a distant dream. Indeed to date they have spent almost as many seasons in the Segundo Division as they have in La Liga’s highest echelon. Their best previous final placing came way back in 1950 when they finished as runners-up, a single point adrift of Atlético Madrid. Like most of Spain’s clubs Depor seemed perpetually to be cast in the shadows of the dominant duopoly of Barcelona and Real Madrid. That those two behemoth clubs cast such a long shadow, and Depor sat at the edge of it, only emphasises how far the club had been from league glory. The early years of the 1990s however saw a upswing in the fortunes of the Brancoazuis. 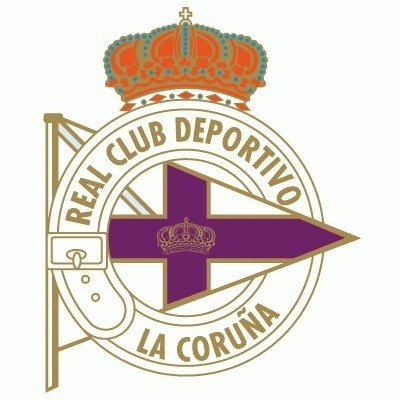 1n 1991, after a period of 18 years in the second tier of Spain’s league structure, Depor returned to the Primera Division. The first season back in the top flight was a struggle however, and only success in a relegation play-off against Real Betis secured their status. For the club however, that victory proved to be a watershed moment. Over the next couple of years, manager Arsensio Iglesias sought to build a squad that would encompass both the benefits of experience and the youthful exuberance of emerging talents. With the top clubs eternally turning over their squads, Iglesias shrewdly picked up players that had been shown the door at more celebrated clubs. Wisely discerning that players such as Adolfo Aldana and the Brazilian forward Donato, captured from Real Madrid and Atletico respectively, were hardly to be regarded as cast-offs, he knew they could provide the base of a successful squad. Then adding to his bank of experience with established players such as Paco Liaño and López Rekarte, Depor began to prosper. Still a teenager at the time, local boy Fran Gonzalez had joined the club in 1988. He was to stay for 17 years and be a key component of the team. Drop into the mix the emerging talents of Brazil’s Bebeto and Maauro Silva, and Depor’s star was in the ascendancy. The following season, Iglesias began to reap the rewards as his team stated their intentions. Almost inevitably, despite being in competitive positions for most of the season, they finished a solid third, four points adrift of Barcelona, and three behind Real Madrid. They were however establishing themselves in the ‘best of the rest’ position of the pack of clubs forlornly chasing the big two. The acquisition policy was flourishing. The young Bebeto won the Pichichi trophy as La Liga’s top forward, whilst the goalkeeping award, the Zamora, went to Paco Liaño. If a single game signalled the announcement of Depor as a burgeoning force in Spain, it was probably the day when they turned round a half-time 0-2 score-line against Real Madrid, to win 3-2. On such games is belief and conviction built. It began a series of games were Los Blancos were to go 18 seasons without recording a victory at the Estadio Riazor. The league position also offered Depor their debut in European competition. For all that though, the season was a coming out party, and promised more to come. In the following season, the club delivered on that promise. The Brancoazuis led the table for much of the season, slugging it out with the two giants unused to having such an upstart club gate-crash their traditional party with only two chairs at the table. Benito Floro’s Real Madrid found the pace too hot. They fell away from the battle and the failure cost the Spaniard his job in March 1994, before Vicente del Bosque was brought in to try and restore the club’s fortunes. It wasn’t to be however, and Los Blancos ended up in fourth place, a point behind Zaragoza. In another season, the same fate may have befell the Blaugrana, but this was the the Barcelona Dream Team of Johann Cruyff, comprising Laudrup, Stoichkov, Koeman and a young Pep Guardiola, among a galaxy of other stars. European Cup winners in 1992, they had topped La Liga in the last three seasons, and were not likely to let their crown slip to the Galicians, doing all they could on the field – perhaps and then some. The showdown came in the final games of the season. Depor headed the table as they had done for long periods of the season, and were at home to Valencia. Barcelona were to entertain Sevilla at the Camp Nou. If Depor won, there was nothing that Cruyff’s reigning champions could do. Should they slip up however, any better result in Catalunya would see the La Liga trophy remain decked in the Balugrana colours for another season. The Estadio Riazor was packed full of Depor supporters for the showdown on 14th May, with transistor radios glued to ears pining for good news from across the country. It was probably inevitable that such tension would also be transferred to the players and despite dominating the game, half-time came with the scores goalless. Better news was coming from Barcelona though. Sevilla had enjoyed a good season, finishing a single place away from European qualification and with Davor Sukur in their team, were always likely to score. When the referee called a halt to the first half in the Camp Nou, things were looking promising for Depor, as first Simeone and then Suker had put the Andalusian club ahead. At the break they led 2-1, and if the score stayed like that, Depor could even lose their game and still be champions. If such fanciful thoughts were floating around the Estadio Riazor at the break, they were quickly to be dashed as a rejuvenated Barca stormed forward to win the game 5-2, and pile the pressure onto the Galician club, who now simply had to win or see the chance of a first ever title slip from their grasp. Pressure built in equal measure with the tension. As the second-half wore on news came through with conformation after confirmation that there was to be no reprieve from Catalunya. Barcelona had done all they could do to swing the title in their direction. One goal. A single strike would surely win it, but the Estadio Riazor was now a pit of stress, and players were becoming ever more desperate. Donato was withdrawn as Inglesias threw on fresh legs to try and break down Valencia. Les Rates Penades however were displaying a resolution hardly reflective of a team whose fairly unimportant seventh position in the league was highly unlikely to be changed whether they were to win, draw or lose. In goal for Valencia was José Luis González. He had hardly been a regular between the sticks that season, and this was to be his last game before being transferred in the summer. Of late however, he had pushed his way ahead of José Manuel Sempere, and in the previous round of matches had saved a penalty against Valladolid. It had been a particularly portentous moment. Nearing the 90 minutes mark on the clock, Bebeto swung yet another corner towards the Valencia penalty area. The ball broke to Nando who tried go round Serer, but was tumbled to the ground. The referee pointed to the spot and as a wave of hope broke in Galicia, and a dread fear must have fell in Catalunya. With Donato withdrawn however, the regular penalty taker was absent. Next in line to take the call was Bebeto, Depor’s ‘golden boy’ and the winner of the previous season’s Pichichi. It would somehow be fitting for the little striker to score the goal that would throw open the gates to paradise and crowned Depor as champions. Scoring had never really been a problem for Bebeto, he was to net 86 in his 131 league games in Galicia, and 39 in his 75 games for Brazil. At this moment though, his nerve broke and he refused to take the penalty. Although perhaps easy to understand, it was a moment that would come to be burnt into the souls of Depor fans. With Donato gone, and Bebeto absenting himself, Depor needed a man with broad shoulders to carry their hopes. The task fell to Miroslav Djukic. Signed in 1990 the Yugoslav was the team’s sweeper; the elegant but no nonsense defender who tidied up at the back of the Depor defensive line. In his entire career with club, encompassing nearly 250 league games, he would only score seven times. Now he was being thrust forward to take on mantle of delivering the title. Interviewed later on Spanish television, Djukic declared that despite the pressure and the added complication of Bebeto’s reluctance to put himself on the spot, he remained calm and fully expected to score. Reviewing the action of the day however, it’s difficult to accept such a description. Standing just on the edge of the penalty area line, Djukic waits, hands on hips, as the referee speaks to Gonzalez. He then steps back and signals for the kick to be taken. On the line, the red-shirted Gonzalez crouches low, as if ready to spring. Djukic takes a deep breath, then steps forward. He hits the ball right-footed to the goalkeeper’s left, but it’s hardly struck with much power. Gonzalez has guessed correctly, and the fairly tamely hit shot is easily smothered. The chance had gone, and with it the Galician dream faded from view in the harsh light of a waking reality. Gonzalez leaps to his feet punching the air with the ferocity of a man who has won something himself, rather than merely denying his opponents such glory. Another Valencia player throws himself to the floor apparently in relief. Why did the save mean so much to a team with apparently nothing to play for? The game ended and the title went to Barcelona once more. Celebrations of a restating of the natural order of things felt like it was always meant to be. Soon however in Coruna, suspicions began to arise around the apparently extravagant celebrations of the Valencia players. Looking at the action again, it’s difficult to reconcile such obvious joy and elation with merely saving a penalty that would secure such a fairly nondescript position in the league. Talk of an influence by the infamous ‘maletínes’ began to grow. For the uninitiated, the term refers to a suitcase, or more precisely a suitcase packed with things that can inspire a team with nothing to play for to suddenly produce a performance of the season to deny opponents important points at one or the other end of the table. Who would undertake such actions? The clear beneficiaries are the clubs who would prosper, should their rivals be denied points in a close race. How involved any club would be – either directly or indirectly – is of course open to speculation in the absence of any firm evidence. Is such action bribery or merely a reward for a job well done? It’s clearly not paying someone to deliberately lose or underperform, quite the reverse. Clubs do of course pay bonus incentives to players based on results, but when that money, or similar largesse, originates from a different club or other enterprise, the waters get a little muddy. I guess it’s for each to decide on the morals of such actions, and indeed those of players whose performances can apparently be raised a notch or two above what they normally turn out for their employers, when added incentives are included. Perhaps the secretive nature of the intrigue adds a dark fascination. I’ve seen many suggestions that the practice remains fairly commonplace when the Spanish season reaches its concluding games, although it was officially banned by the Spanish FA in 1994. Was the game at the Estadio Raizor a catalyst for such a move? The question then arises as to whether such nefarious action had taken place, and influenced the result in the Estadio Riazor that evening. Spanish journalist Cayetano Ros certainly believes that is the case. In 2011, he published an article in El Pais entitled ‘Tocamos a tres millones de pesetas’ (We played 3 million pesetas). In it he relates how he tracked down three Valencia players from that game who were, albeit anonymously, prepared to confirm that they had been paid the sum mentioned in the title, of the article by someone purportedly representing Barcelona or interests at the club. Ros relates the story told to him by one of the three ex-Valencia players as revealing that the agreement was made a week before the game, and arranged by a Barcelona player and a Valencia player, with the money handed over and stored in the house of one of the players. Of course there’s no proof, and as time passes by, any possibility of establishing whether such a transaction took place, recedes. The following season, a measure of revenge was extracted when Depor defeated Valencia in the final of the Copa del Rey with Donato heading the winner. They were however to finish second in the league again, as this time Real Madrid took the title by a clear four points. In 1997, Djukic, then 31, left Depo as his contract expired. Ironically, he was to journey south and sign for Valencia. It would be another five years before that Galician dream was realised when under the stewardship of Javier Irureta, Depor were finally crowned as champions of Spain. A victory margin of a clear five points precluded any last day dramas on that particular occasion, but for many, especially in the north-west tip of Spain, there will always be the lingering memories of 1994, the celebrations of the Valencia players, and the question as to whether it was a man with a suitcase who delivered the title to Barcelona. (This All Blue Daze article was originally produced for TheFootballExpereince website).